I LOVE the book "Divergent" by Veronica Roth. So I had to create a Divergent inspired locket. I picked the Family Charm to represent her hard choice of leaving her family or following her passion. I picked the Pistol Charm and Boxing Glove Charm to represent her training. I chose the Number Four Charm, for obvious reasons. :) The Scissors Charm represent the opening scene of getting her hair trimmed, and the three Bird Charms represent her tattoo. I personally love it! 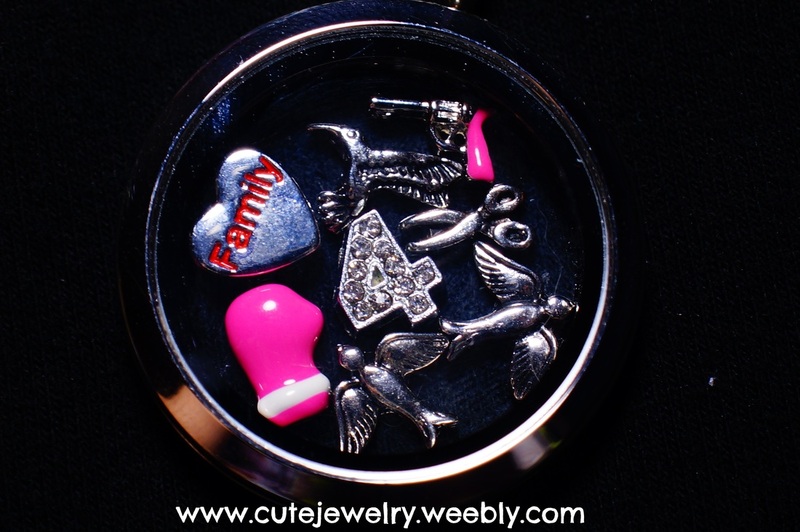 Go to www.southhilldesigns.com/cutejewelry to create your own locket!